I’m starting this thread as a concern that I have from a different discussion . How many miles do you expect our engine and transmission to last? Please consider normal driving style ( mostly “Comfort”, with occasional “Sport+, very rare “Race” mode). Could last well over 100-150,000miles without anything major happening. You might encounter other problems with your AMG, such as creaking suspension, faulty electronics, leaky airmatic shocks, damaged coolers (A/C, heat exchangers, intercoolers), rattles in the interior, not the best fit and finish on some trim parts and the later your car will be built, the more issues (eg. https://mbworld.org/forums/c63-c63s-...il-recall.html) will be already solved. Overall I'm confident 2019+ M177 cars will be quite bulletproof (I hope) as a daily driver. I'd be happy to hear from others on this interesting topic. Friend of mine drives an C63s 2018 with a TTE Hybrid Turbo at 745 Crank Horsepower. for 25.000 miles already and a lot of drag events. The car has a total of 41.000 miles. No Problems at all up to now. The M177 in the C63s has smaller Turbos and different pistons ( the E should have better ones). This Car is based in Germany and runs frequently over 186 mph on the Autobahn. Another friend is testing a turbo upgrade Stage on the E63s 2018 with 1100 crank horse power at the moment. I know many tuned/Turboupgraded M177 by now. No issues up to now. But we have to wait some time to get more miles . I believe these are the most probable issues. the best way to “run” car as long you can is to keep it in garage under the cover. That "ideal" is gone for sure. V12 is also heading out AMG's door. Not sure where Pagani is going to source its V12 after that. So, after seeing everybody's comments, it looks like the best we could hope for from an engine perspective is up to $150k miles. If true, to me it's absolutely insane and unacceptable that an AMG/Mercedes engine which has phenomenal reputation from a quality perspective (is it just advertising and marketing???!!!) would only last around 150k miles before starting having issues. In the 80's, Ford used to last until about 90-100k miles while the Japanese brands (Toyota, Honda, Mazda, Nissan, Mitsubishi, etc) would push easily the 150k miles mark without ANY problems. 35+ years later, one of the best engines on the Planet is maybe good for 150k miles. Where's the fault in my logic? Are you guys not seeing this??!!!! Without joking, I was expecting a minimum of 500k miles of perfection and problem-free experience from an AMG engine which now has the advantage of today's latest technology and innovation and costs an arm and a leg. What's the catch here?! the issue is not the engine... it's the other components. Very simply, one thing...Power and a LOT of it. If you want to say that cars have not advanced from the standpoint of reliability, I would say that is unfair. In 1983 the Honda prelude made 100hp(ish) from 1.8Liters, in 1986 the Ford Mustang GT "5.0" made..225(!) hp. This car makes 600HP! and it does it from 4 liters....can you imagine how hard that is to do, with any kind of reliability?! I think it is monumental that a 4 liter motor makes that kind of power, and will last 100k with just oil changes...are you kidding me?!?! 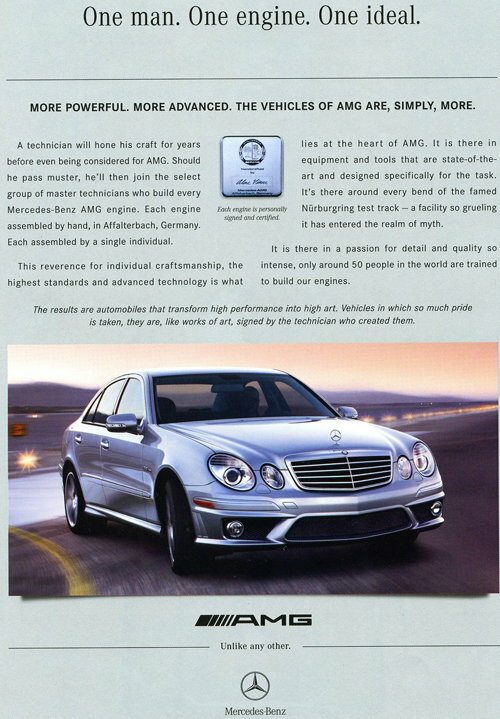 I think you may want to just take a breath and think about what AMG has accomplished with this motor. Ok, gobs of power is a good point. However, one would think that everything in that engine is made to sustain that power. If you claim 600hp then your engine (and everything else about the car) has to be engineered, tested and released to the public with that basic guarantee of quality for 2018 and not the 80’s. The high price that you demand as a premier manufacturer should be backed up by your workmanship, quality and engineering. Anyway, I think we’ve digressed a bit especially once we brought in our own subjective expectations. I started all this “trolling” because this is my first AMG and unfortunately I’m in the buyback process with Mercedes due to some quality issues. I like the car a lot and I was thinking of giving AMG another chance and buy another E63S with the assumption that I simply got a lemon and if I try again chances are on my side to get a phenomenal car. Then I started to doubt my assumptions of perfection, the-best-or-nothing mantra and inquired about the quality of AMG engines which brought me here. Thanks everyone who chimed in on this issue. Is the new m5 having any significant issues? Out of curiosity, does the new M5 still eat engine oil by the gallons? It is not only the mechanical parts, it's the electric/electronic ones. As cars have been increasingly tech sofisticated durability has decreased. I wouldn't be so quick to let the AMG go, there will be more comprehensive solutions to this check engine light issue in the near future. the new AMG's are one heck of a car and there are very few cars that can replace them. The BMW's guaranteed are gonna have their own issues too, every car does. 0 oil added at all. This depends on a lot of factors. Is your amg a face life or pre face lift? For first year model, there will always be problems with engine, trans and electronic. I would get the end of model cycle if I plan on keeping it for 10 plus years as all the bugs will be ironed out. Amg engine and transmission are build to be driven hard so with normal driving style, so I have no doubt it will last a very long time if not abuse regularly. These amg engine and transmission are over engineer to hold a lot of power and torque. The only thing I would worry about is how long the turbo last and all the electronics past 100k miles. I own a 2007 e350 4matic before the c63s coupe, it's fully option out & kept it for about 10 years with almost 360k miles. The engine blew and had to be rebuild other than that no electronic issue, rattles or any build quality issues. I did abuse the e350 from time to time and mostly use it to drive from Georgia to Florida and back to Chicago a lot. I can't say the same for the newer amg because it's basically a computer controlling everything. Also ecu tuning and downpipes is a no no for me if I plan on keeping it for 10 plus years. That should be true across the board for all manufacturers. Since everybody is using electronics, sensors and computers, it becomes a common element which could be canceled out in a comparison.